Indeed, UN-SDG can be regarded as the last call, after a series of regular and continuous calls on several regional and global levels, for meeting pressing and urgent needs for implementation of effective, practical and immediate solutions and measures of the pilling threats and degradation on earth’s environmental and climate systems. Now the UNEP releases its recent GEO-6 Regional Assessment documents, May 2016. The Networking of “sustain-earth.com” got this information also from Hussein Abaza, an excellent Reporter on sustainability issues and Director at Centre for Sustainable Development Solutions “CSDS”, Cairo, Egypt. A series of regional reports on the state of the planet’s health deliver the message that environmental deterioration is occurring much faster than previously thought and action is needed now to reverse the worst trends. The ‘Global Environmental Outlook (GEO-6): Regional Assessments,’ published by the UN Environment Programme (UNEP), is a compilation of six reports examining environmental issues affecting the world’s six regions: the Pan-European region, North America, Asia and the Pacific, West Asia, Latin America and the Caribbean (LAC), and Africa. The release of the regional assessments coincides with the second session of the UN Environment Assembly (UNEA-2), which is convening in Nairobi, Kenya, from 23-27 May 2016. The Pan-European assessment will be launched at the eighth Environment for Europe Ministerial Conference in Batumi, Georgia, on 8 June 2016. The assessments found that the regions share a range of common environmental threats, including climate change, biodiversity loss, land degradation, population growth, rapid urbanization, rising consumption levels, desertification and water scarcity, which all must be addressed in order to achieve the Sustainable Development Goals (SDGs) and the 2030 Agenda for Sustainable Development. The assessments involved 1,203 scientists, hundreds of scientific institutions and more than 160 governments, and are based on scientific data and peer reviewed literature. The regional assessments will inform GEO-6, which will be released before 2018 and will provide an assessment of the state, trends and outlook of the global environment. The GEO-6 LAC assessment notes the strong impact of emissions from agriculture in the region, including an increase in nitrous oxide emissions of about 29% between 2000 and 2010 from soils, leaching and runoff, direct emissions and animal manure, and an increase in methane emissions of about 19% due to the plethora of beef and dairy cattle. Regarding air pollution, the assessment points to particulate matter (PM) concentrations above World Health Organization (WHO) guidelines. In addition, Andean glaciers, which provide water for millions, are shrinking. The LAC region has eliminated lead in gasoline and made headway in reducing ozone-depleting substances. Approximately 41% of all reported natural disasters over the last two decades have occurred in the Asia and the Pacific region, according to the regional assessment. In Southeast Asia, more than one million hectares is deforested annually. Other environmental issues discussed in the report reference that: approximately 30% of the region’s population drinks water contaminated by human feces; water-related diseases and unsafe water contribute to 1.8 million deaths annually; uncontrolled dumping is a significant source of disease; and population growth, a growing middle class and urbanization have led to higher emissions, ill-managed waste and increased consumption. In West Asia, an increase in degraded land and the spread of desertification are among the region’s most pressing challenges, as they lead to an increase in water demand, over-exploitation of groundwater resources and deteriorating water quality. In addition, conflict and displacement are having severe environmental impacts, such as heavy metals from explosive munitions and radiation from missiles leaching into the environment, and increased waste production and disease outbreaks. Almost 90% of municipal solid waste is disposed of in unlined landfill sites and is contaminating groundwater resources. The report estimates that air pollution alone caused more than 70,000 premature deaths in 2010. In Africa, air pollution accounts for 600,000 premature deaths annually. The report also highlights that 68% of the population had clean water in 2012. In addition, inland and marine fisheries face over-exploitation from illegal, under-reported and unregulated (IUU) fishing. According to the report, around 500,000 square meters of land in Africa is being degraded by soil erosion, salinization, pollution and deforestation. African megacities, such as Cairo, Kinshasa and Lagos, have inadequate sanitation services. In North America, environmental conditions, including air pollution, drinking water quality and well-managed protected areas, have improved due to policies, institutions, data collection and assessment and regulatory frameworks. However, aggressive hydrocarbon extraction methods can lead to increased emissions, water use and induced seismicity, while coastal and marine environments are experiencing, inter alia, ocean acidification and sea-level rise. Climate change is exacerbating the drought in California by approximately 15-20%, and Hurricane Sandy, in 2012, was directly responsible for approximately 150 deaths and US$70 billion in losses. However, mitigation efforts are having a positive impact; for example, solar deployment made up 40% of the market for new electricity generation in the US in the first half of 2015, and solar now powers 4.6 million homes. In the Arctic, warming has increased at twice the global average since 1980, and over the past twenty years, summer sea ice extent has dramatically decreased, which has, inter alia, created new expanses of open ocean, enabling more phytoplankton to bloom and alter the marine food chain.
] [Full Regional Assessment for West Asia]. Now it remains to see how these “SMART GOALS” will be further put in an effective and fast implementation agenda of actions. They are still many unclear details as what, when, how and where these goals will be dealt with in particular who will do what, how and when. Though the UN-SDG seem to be more or less specific in general terms, they need to be successful and instruments have to be put in place to measure such success as what you can not measure is does not exist and what you can not measure you can not control. 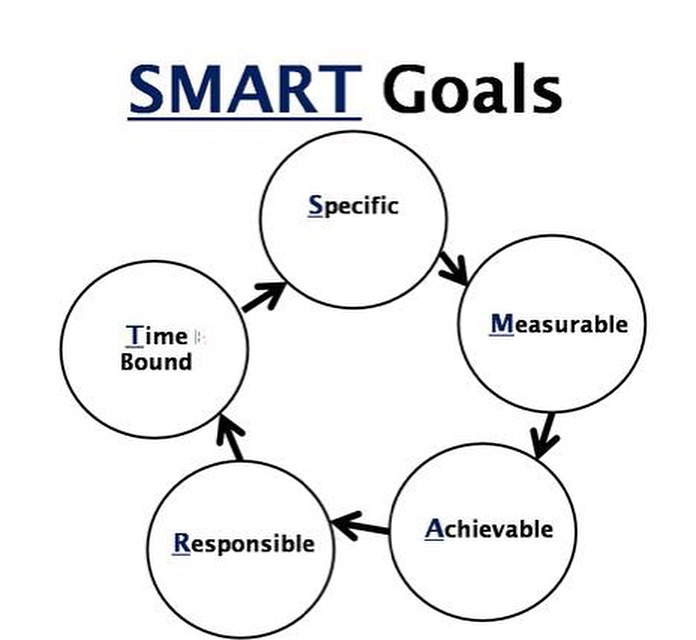 Unless these goals become successful they will be gone with the wind as many other smart UN goals. This entry was posted in Advertising and Marketing, Agriculture & Farming, Apps, Career-Development-Plans, Conferences, Consumer's Affairs, Do-It-Yourself, Economy & Investment, Editorial & Guest Bloggers, Education & Research, Energy Resources, Entrepreneurs & Investors, Environment & Climate, Events & Entertainment, Exhibitions, Fieldwork, Forestry & Land-use, Governmental Organizations & International Bodies, Health & Fitness, Human Resources, Inquiries & Negotiations, Internship, Jobs, Journals and Publications, Library & archives, Links, NGOs, Other Natural Resources, Pages & Noteboard, Photos, Politics & Infrastructure, Projects & Networking, Protection Instruments, Public & Private Sectors, Public Awareness, Quality Assessment & KPI, Sanitation & Hygiene, Scholarships, Secondments, Services, Technology & Industry, Tourism, Training, Transport & ICT, Uncategorized, Universities, Urbanization & Household, Water Resources on May 29, 2016 by farideldaoushy.